lemonade lists: Productivity? Not really. 1. Took down Liz's senior show. Productive! 2. Wegmans. Justin bought a papaya. Not productive. 3. Thai food. 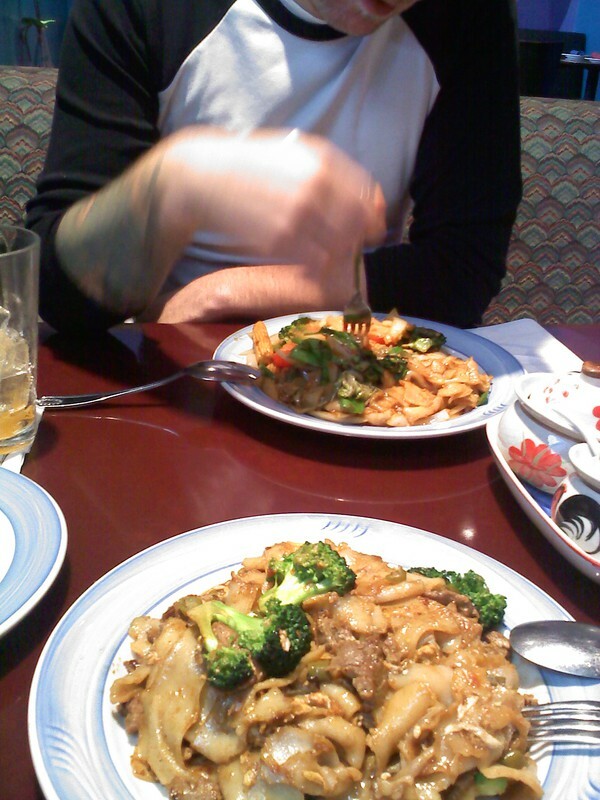 Pad see ew. Delicious. Undecided. 4. Yesterday's Rose. Old records! Typewriters! Not productive. 5. Trader Joe's. Avocado & things for Wednesday's potluck. Productive! 6. Sit on a futon drinking Prosecco for four hours talking about anything/anyone we can. Not productive (but oh so nice).